Hi there! 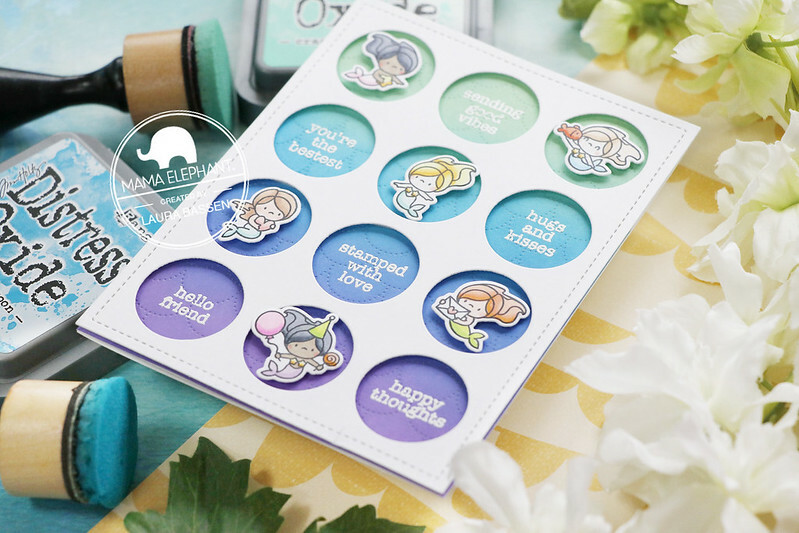 Today I'm sharing this project over on the Mama Elephant blog featuring the Mini Everyday Messages stamp set. To begin I die cut a panel with the Scales Cover-Creative Cut and then blended it with Distress Oxide inks for a mermaid looking background. 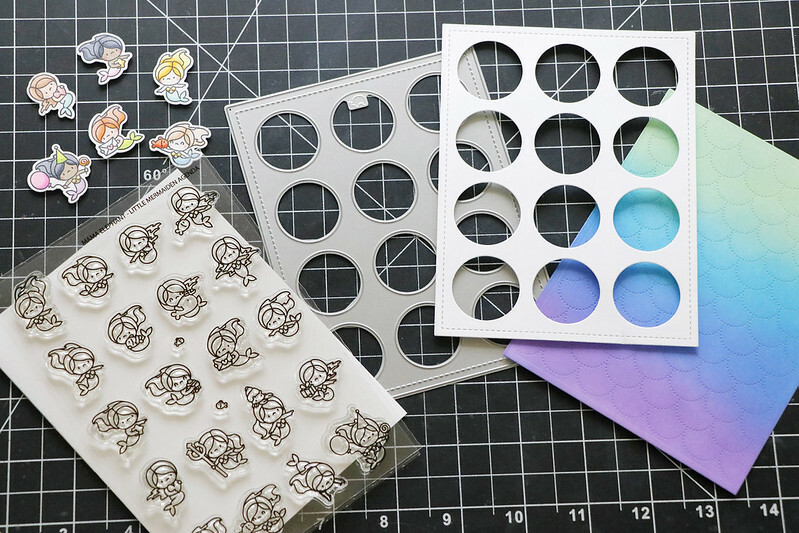 I also die cut a panel using the Circular Grid-Creative Cut onto white cardstock. I embossed several sentiments from the Everyday Mini Messages in white onto the ink blended background an popped up the Circular Grid panel. Then I added some adorable mermaids from the Little Mermaiden Agenda. They were stamped with Memento ink, colored with Copics and die cut using the Little Mermaiden Agenda Creative Cuts. Welcome back for our final day of April Stamp Highlights! Today we are highlighting the new Mini Everyday Messages stamp set. This set is full of small sentiments for you to tuck just about anywhere! 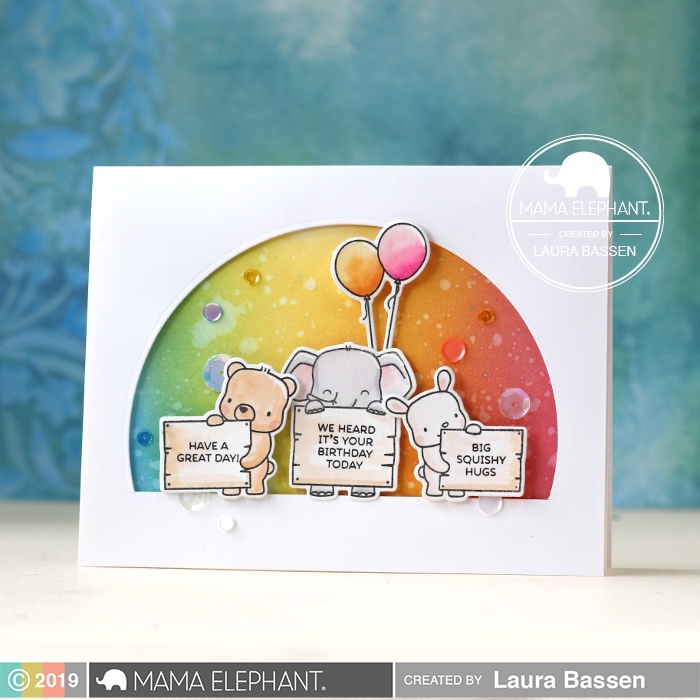 Thi created this adorable shaker card by pairing Mini Everyday Messages with Stackable Cuties and our elephant friend from Big News holding the sign to tell you what to do! We just adore Amy's card! 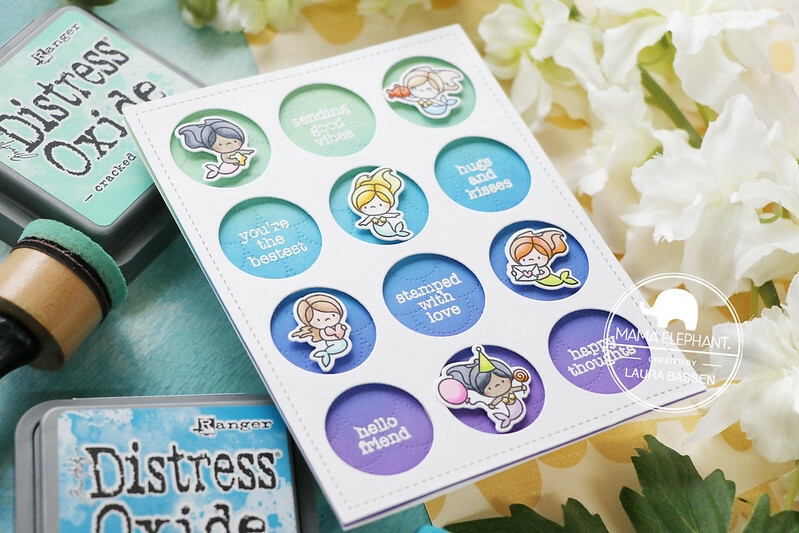 She used the Mini Everyday Messages with the Big News stamp set along with the Stackable Cuties and the Hillside Cover Creative Cuts. 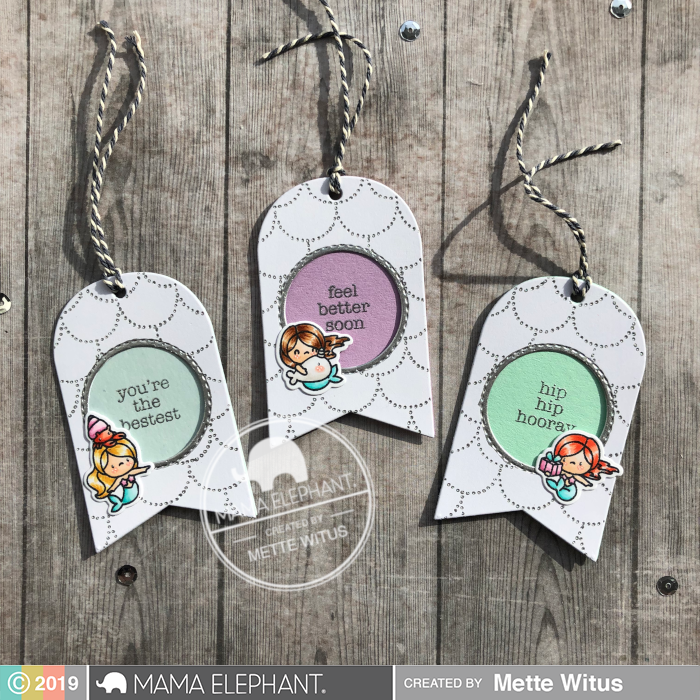 Mette created these cute mermaid tags with the new Little Mermaiden Agenda Stamp Set and the new Scales Cover Creative Cuts. 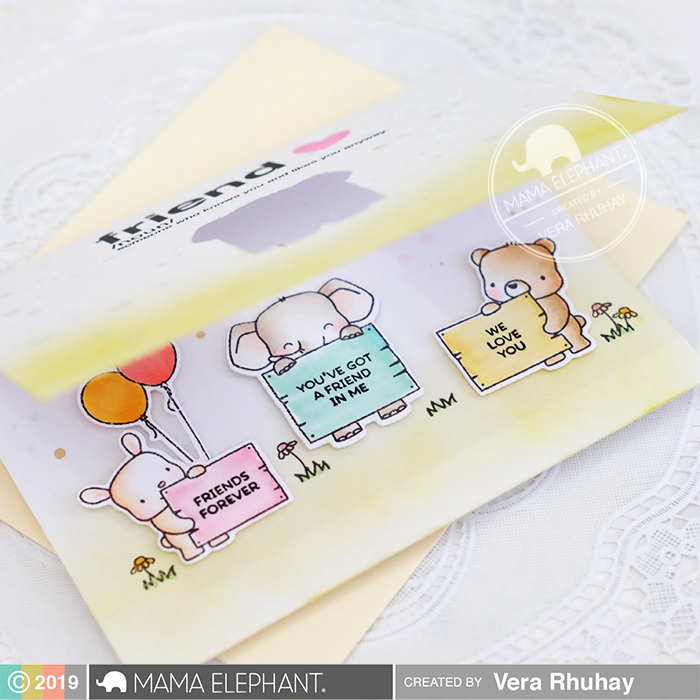 Vera created a cheerful birthday card by combining the New Mini Everyday Messages with the elephants from the new Big News set and Flying with Friends stamp set. 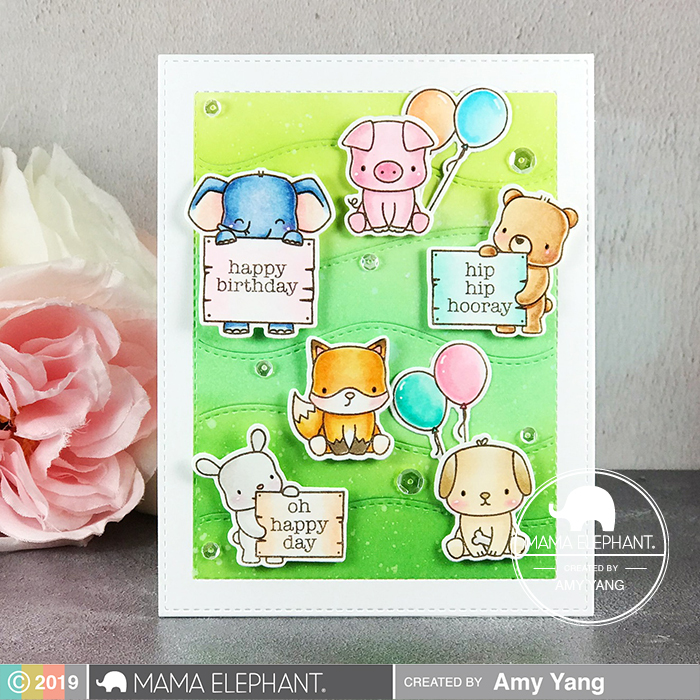 We are back with day 3 with our Stamp Highlights and we are working with the cuties from the BIG NEWS stamp set! Big hello and happy birthday from this party crew! Thi made this adorable birthday card by pairing Big Scripty Hello creative cuts with Big News. 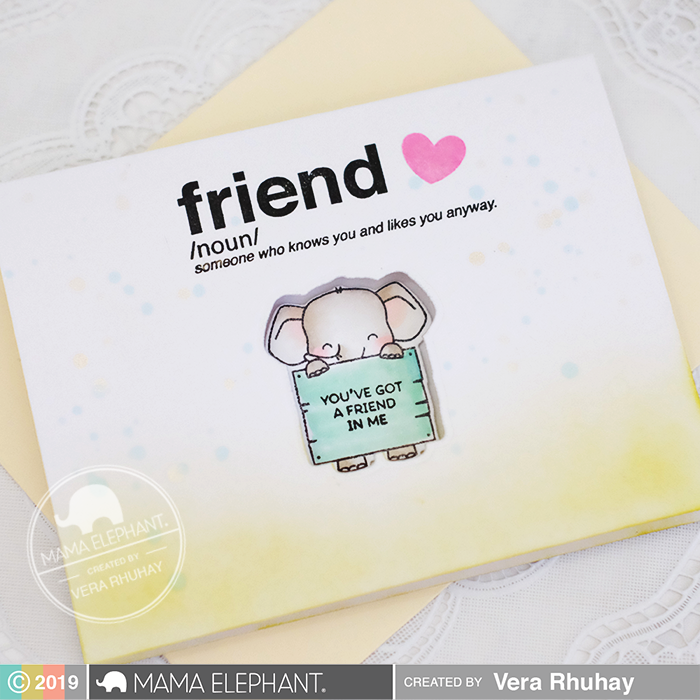 Vera created this sweet friendship card by pairing the Big News with Words Defined stamp set. We love how Laura partially die cut a large circle to frame this colorful scene. Mette created a beautiful marbled background behind the Big Scripty Hello Creative Cut! What a fun way to brighten someone's day! 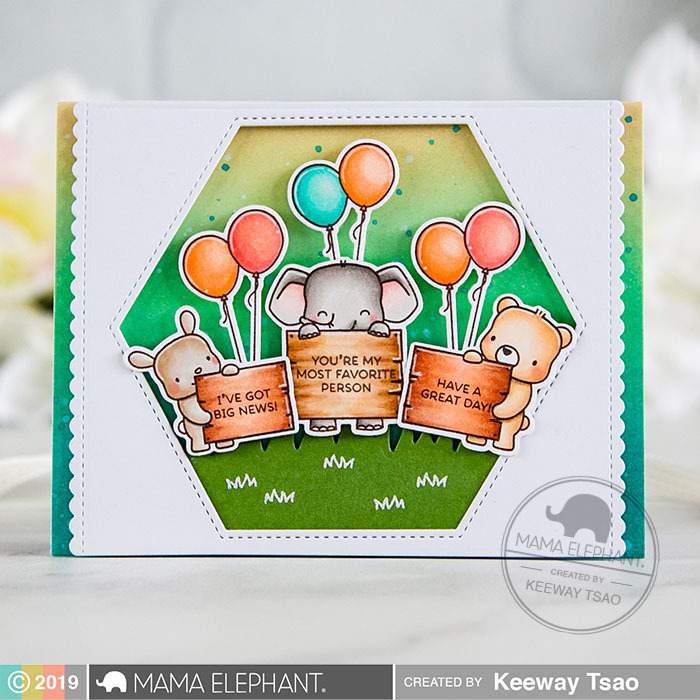 Keeway created an adorable card with these trio using the Framed Tags - Hexastar Creative Cuts. 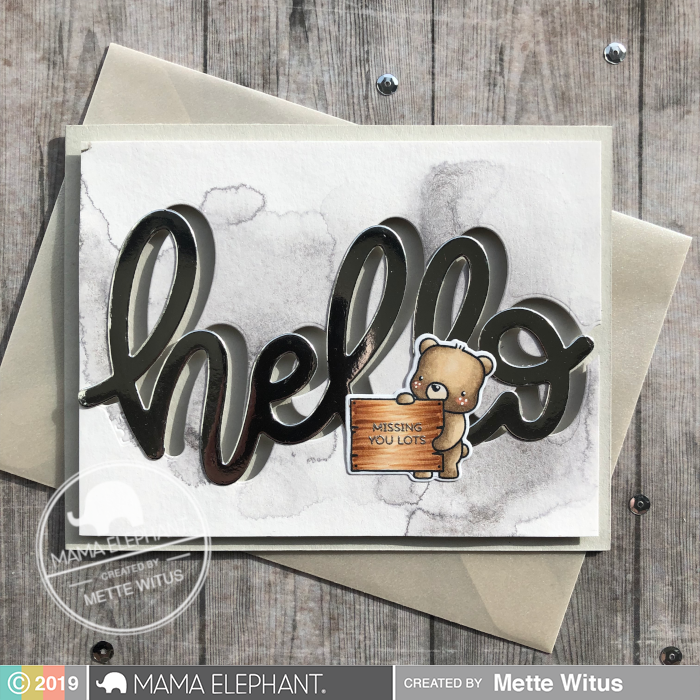 In this cute card, Amy combined the Big News with the Big Scripty Hello Creative Cuts. 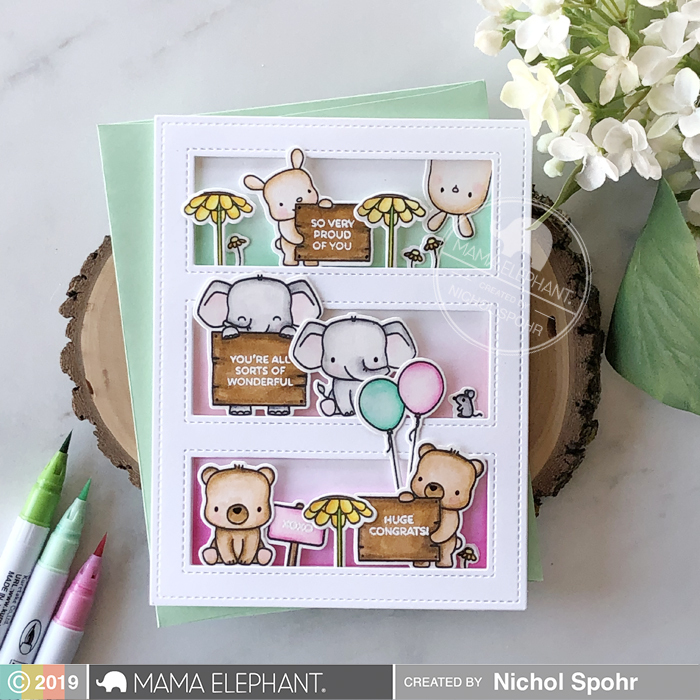 Nichol combined the Big News critters with similar critters from other stamp sets for this sweet scene. Hi! Welcome back to day 2 of Stamp Highlights! These sea creatures in Marine Friends by Aida Zamora are so fun to create with! These projects makes me want to swim with them! 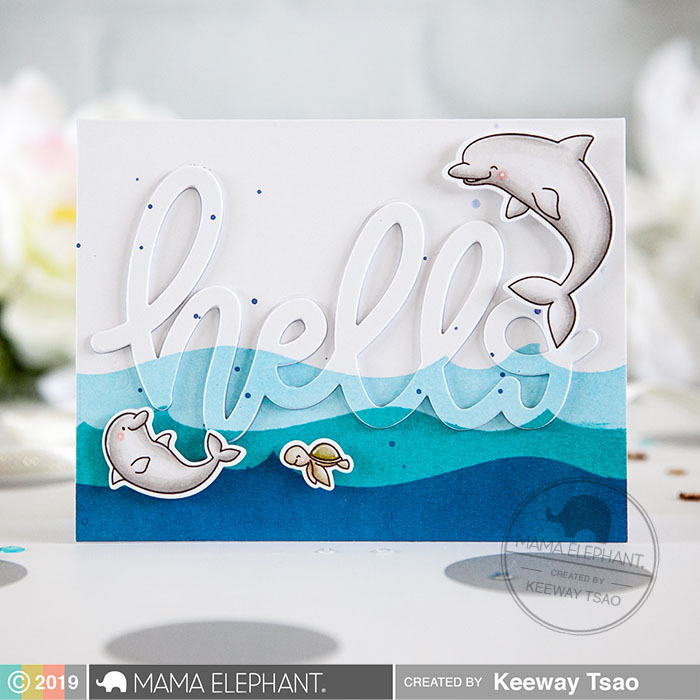 Keeway created a fun 'hello' inlaid dimension with the Big Scripty Hello and a background with a DIY stencil using Ocean Waves Trio Creative Cuts. 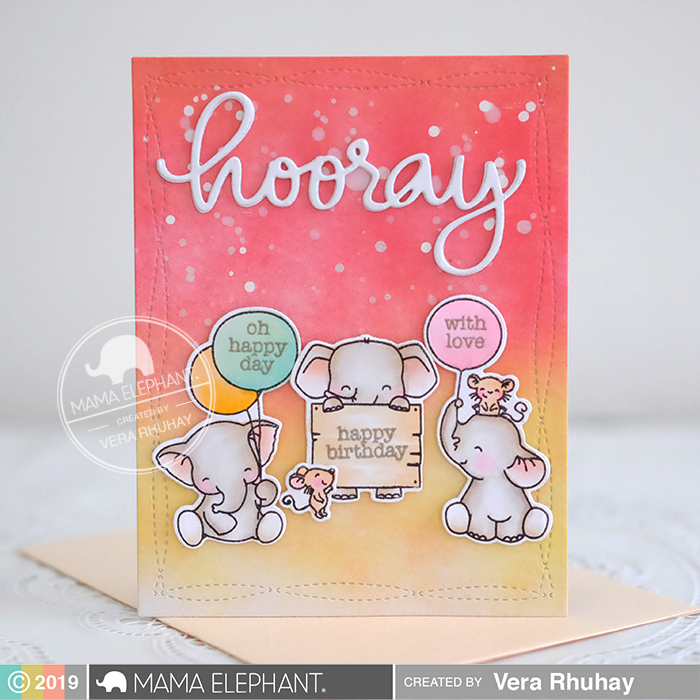 Wonderful card by Vera, we love her soft color tones on her card. 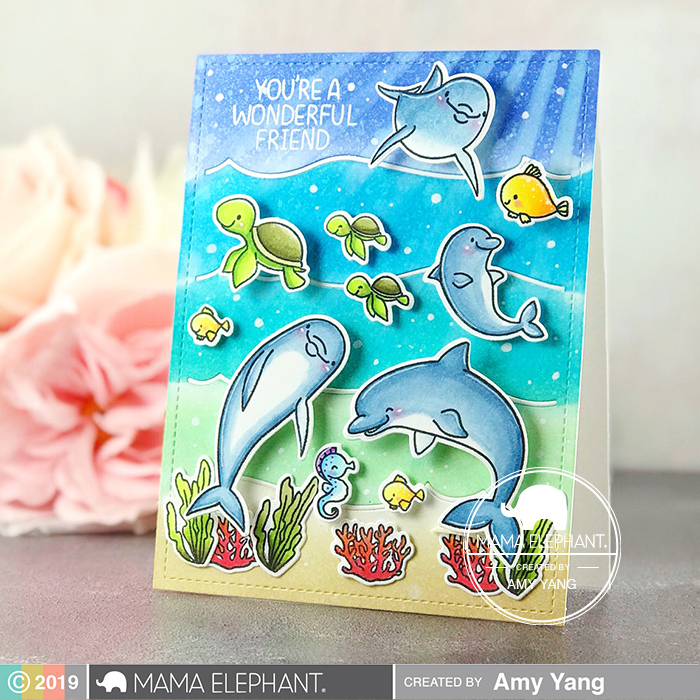 Fun underwater scene card by Amy using Marine Friends and Making Waves Cover. 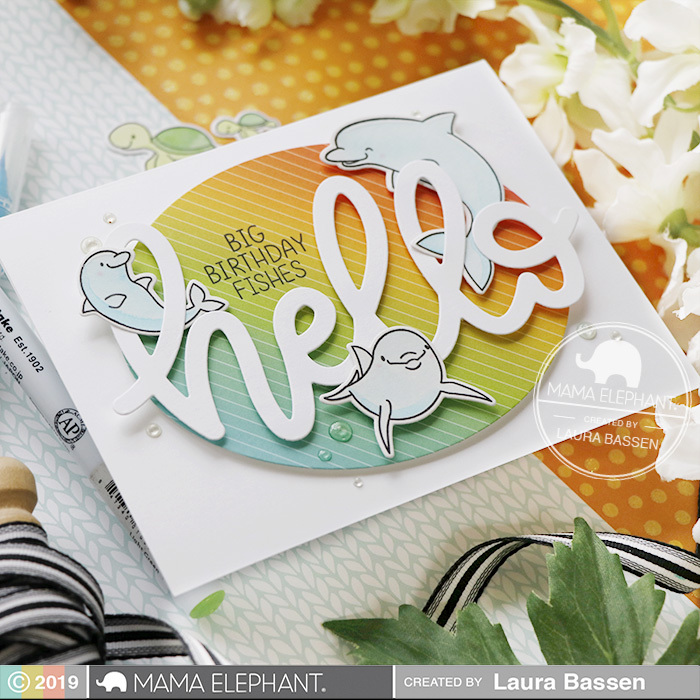 Laura combined the the Big Scripty Hello with Marine Friends for this fun design. 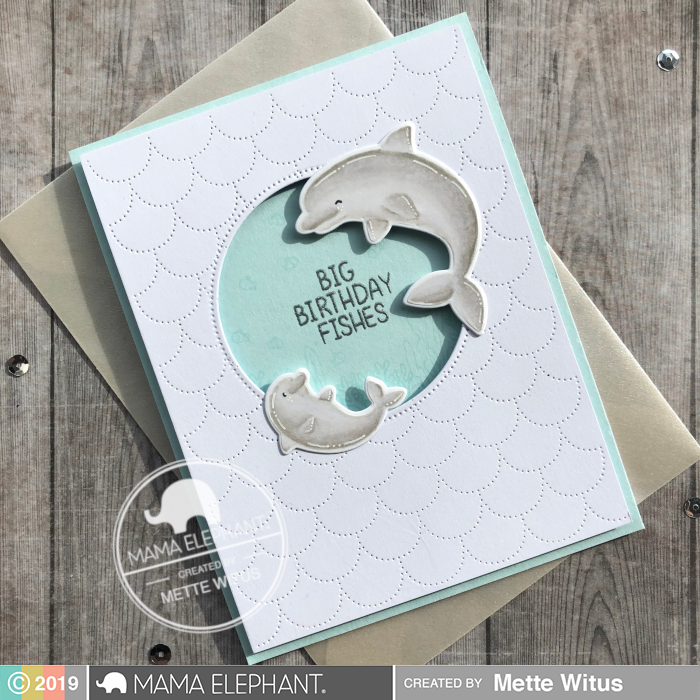 We adore how Mette framed the circular window with her no-line colored dolphins!